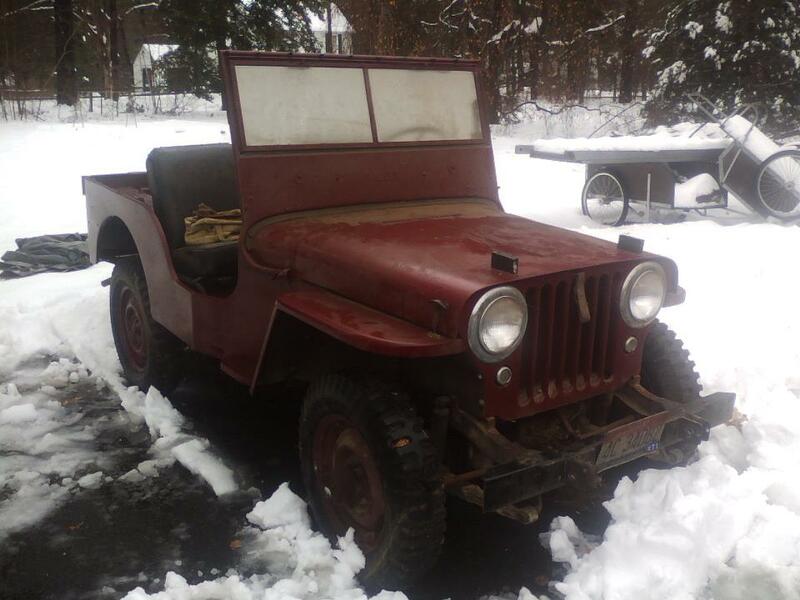 After my last post had some rusty Jeeps in it I thought I would show you folks a nice one 🙂 I was contacted a while back by a Mr. Finney about his 1947 CJ2A. I picked the Jeep up on December 27th and was pleasantly surprised by the condition of the vehicle. 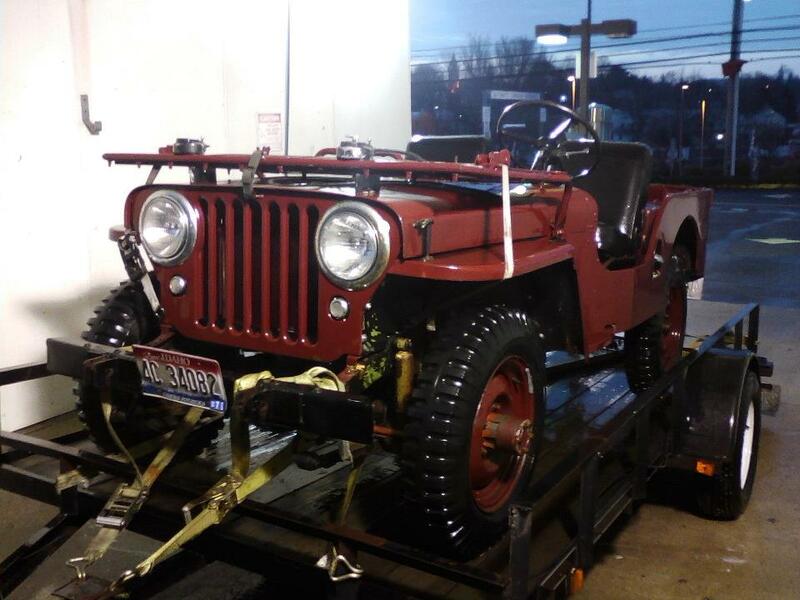 I have yet to see a vintage jeep with a perfect bodytub…. and this Jeep has one! While there is a very nice floorpan repair, everything else is original. 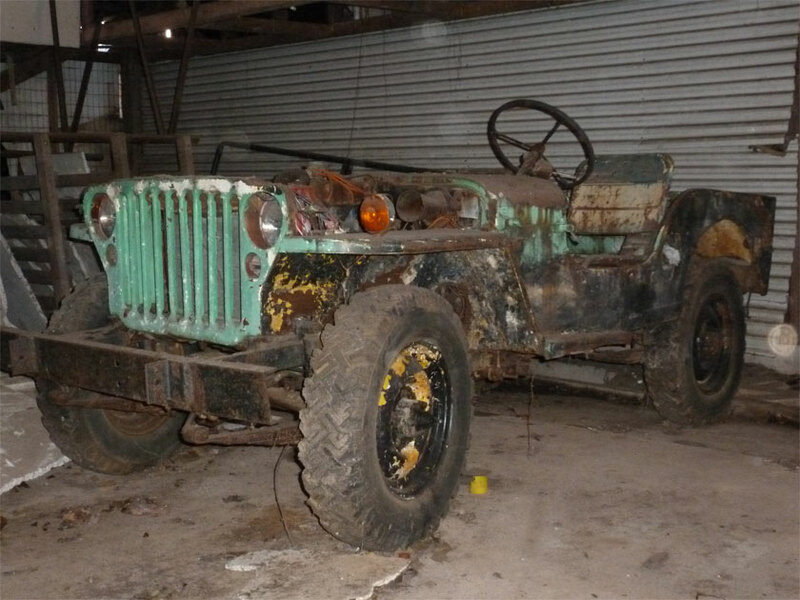 This is a nice early jeep with quite a few parts recognisable from WW2. 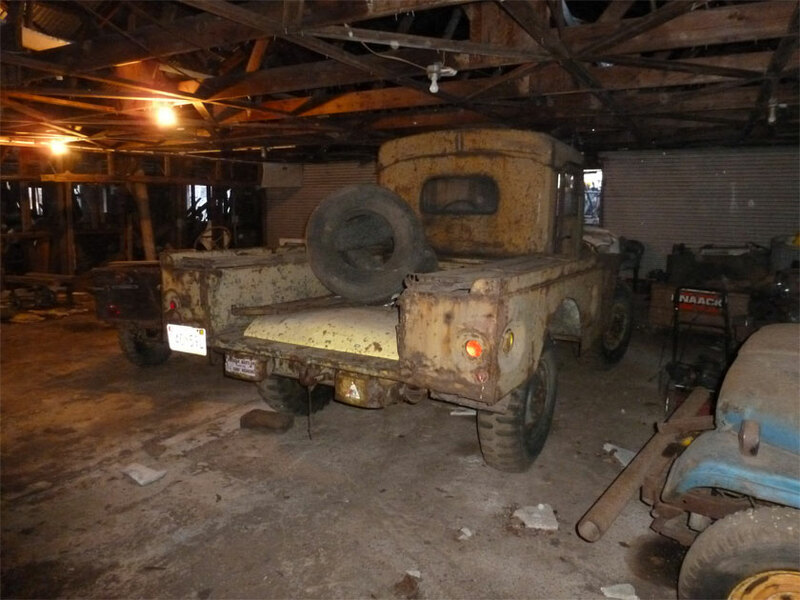 According to Mr. Finney it was owned by a couple fellows in Idaho who only used it at their hunting camp. They would tow it to the camp, run it for the weekend, and then take it home. They must have been really careful when running it because there are no dents, dings or cracks in the metal. Plus there is no sign of BONDO!! As a very straight jeep we are basically refurbishing it after several other jobs get out. It will get a brake system going over, new paint, electrical work and we will check out everything else. I am really looking forward to puttering with this Jeep. On a side note, this Jeep was originally black and the owner is contemplating returning it to that colour. If I don’t post before the New Year I wish you all a Happy New Years!! Contrary to popular belief I am not dead 🙂 When the weather gets colder the adventures stay closer to home and thus I have less to post. I took a journey today to a friends place where he is working on clearing out and organising an old warehouse he has. It was alot easier to see the vehicles with less packed in around them. Below is a Ford GPW. My friend has around 20 acres covered in vintage Jeeps (civilian and military) as well as a variety of other military vehicles mostly from WW2. 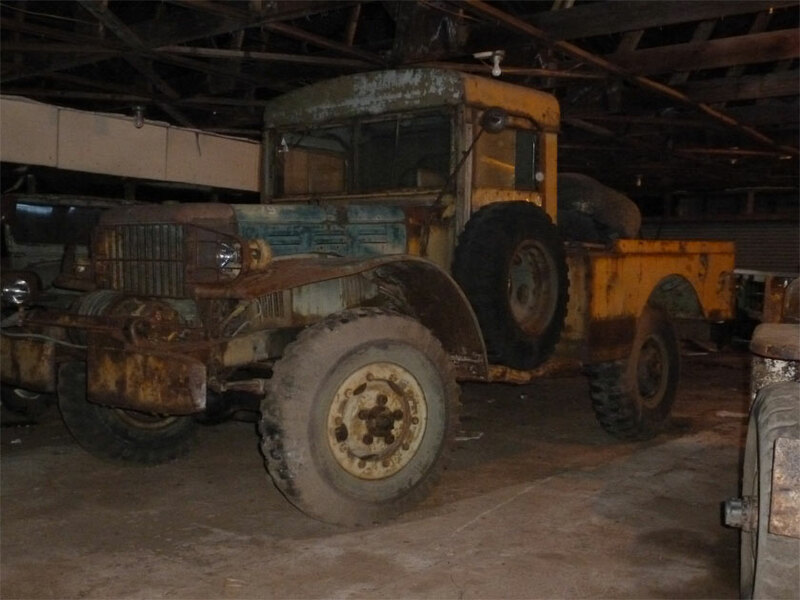 Next to the GPW sits a WW2 Dodge Weapons carrier. It is still running despite its patina. 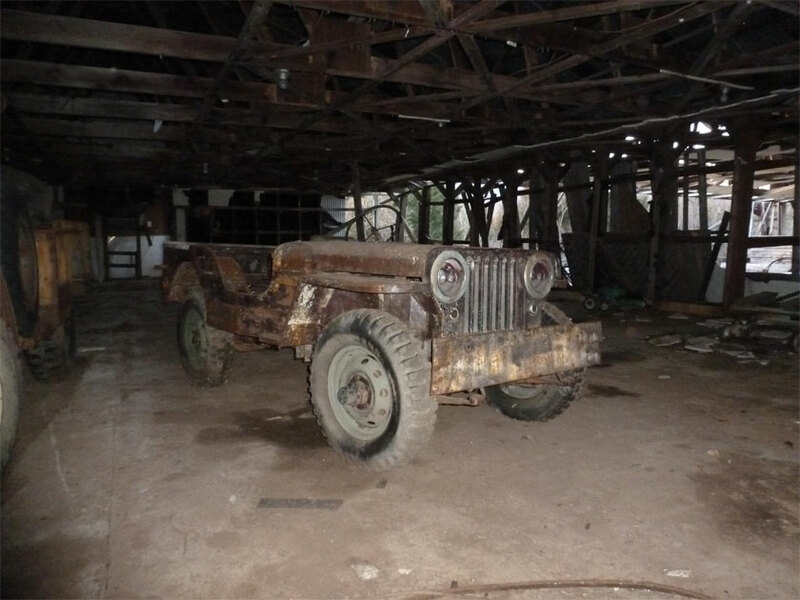 In a back corner sits this very sad Jeep. There is not much to work with here. The grill and headlights look salvageable though.